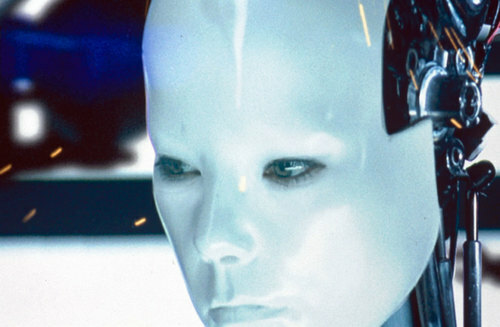 From March 8 through June 7, the Museum of Modern Art presents a mid-career retrospective of work by Björk. The eponymous exhibition examines the Icelandic singer’s career with a custom-built pavilion and a specially developed augmented audio guide for an immersive visitor experience. The exhibition begins in MoMA’s atrium lobby with four musical instruments that were created for Björk’s Biophilia album. On a mezzanine above, one of two installation spaces loops a retrospective of 32 music videos spanning eight albums. 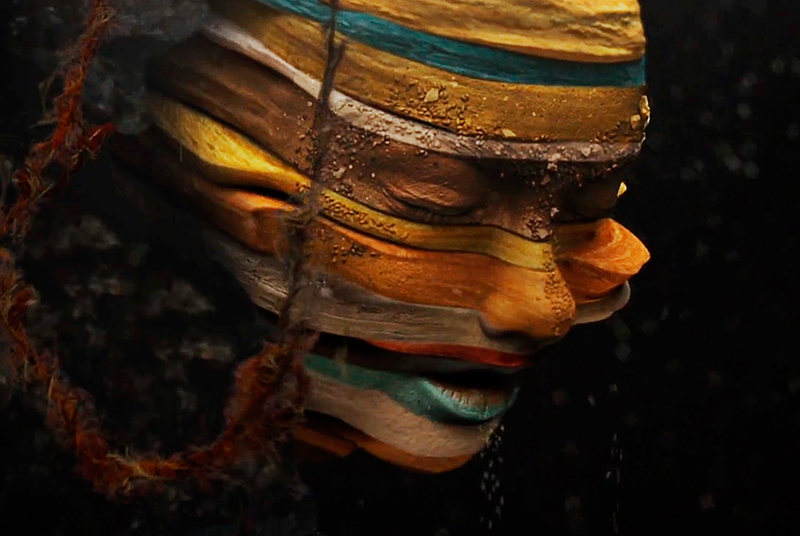 The other space replicates the interior of an Icelandic cave and shows the MoMA-commissioned video installation for Black Lake from the just-released Vulnicura album. On the third floor, a series of galleries for each of Björk’s solo albums (except Vulnicura) is entitled Songlines. Each gallery contains vitrines with personal journals, video set pieces, and costumes. The location-based audio guide layers Björk’s music with narrative text from The Triumph of the Heart by the Icelandic poet Sjón for an allegorical rather than didactic experience. Early critical reviews note that the audio is successive, imposing a linear progression through each chapter and gallery. 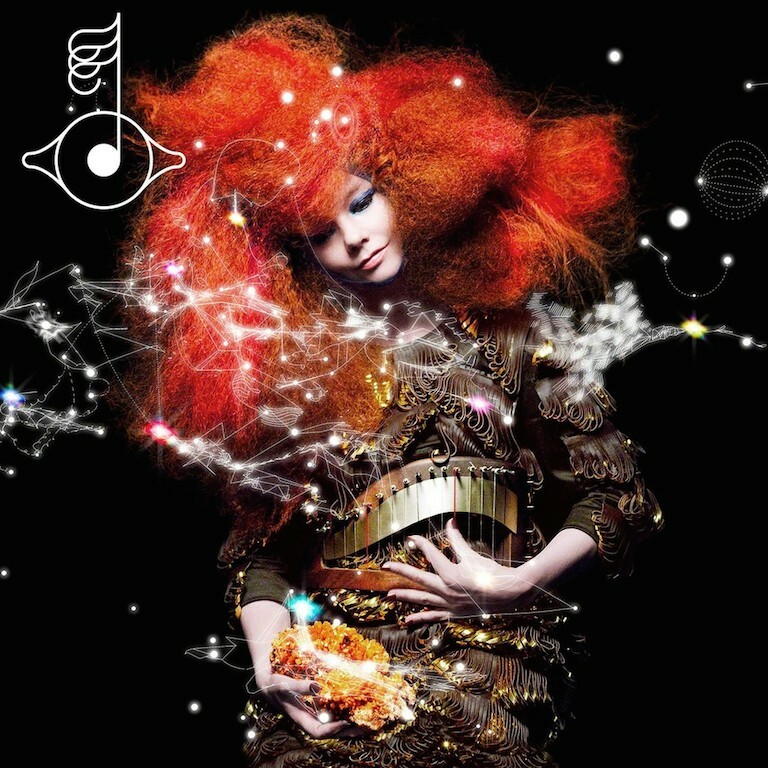 Fans of Björk, and of multimedia art experiences, will remember that the 2011 album Biophilia launched with an iPhone app. The interactive album explores nature, music, and technology with mesmerizing imagery and musical scoring. In 2014, Biophilia became the first app to be acquired for MoMA’s permanent collection. Even before it opened to the public, Björk received negative reviews from almost every arts writer in New York with criticism for MoMA’s installation and curatorial program. Whatever. Björk is a prodigious composer, singer, producer, and artist, so we predict the exhibition will be a popular and fascinating experience. Björk was curated by MoMA’s Klaus Biesenbach and is sponsored by Volkswagen. MoMA’s next eccentric celebrity/musician/artist exhibition will be a retrospective of works by Yoko Ono, opening in May. And Björk’s ex-beau, Matthew Barney, will have an exhibition at MOCA in September. March 25, 2015 Update: Now it’s a whole thing and they’re calling it Björkgate. Critics heads are exploding have more to say.